To be frank, you had me at Richard Armitage. 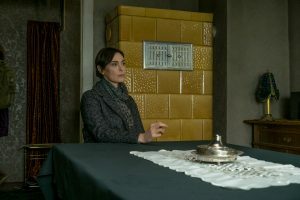 Richard Jenkins and Michelle Forbes are a bonus and I love that all three, along with the also awesome Rhys Ifans, are starring in a contemporary spy thriller. So, what do we know? 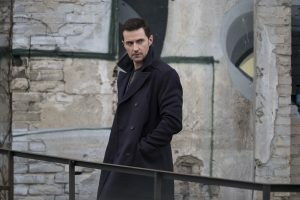 Armitage plays CIA officer Daniel Miller. 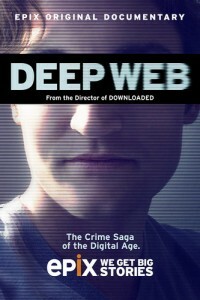 He’s assigned to Berlin on a clandestine mission to expose an anonymous whistleblower, alias Thomas Shaw. Who is he looking at? Everyone. And as Miller gets closer to exposing the leak, people start to die. The cast and EPs were at the Summer TCAs back in August and gave us a lot of great intel on the show. 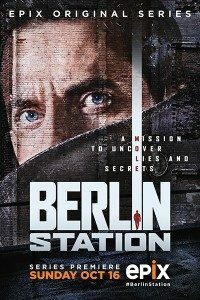 They discuss undertaking a modern spy thriller, why Berlin is the perfect setting, the duplicitous nature of their jobs and more. Bradford Winters: “Berlin [has] such a layered history, just in the 20th Century alone. 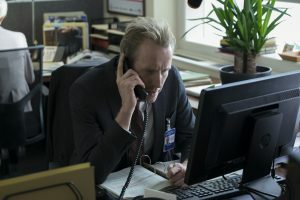 We found [it] really lends itself to the espionage genre, which deals with such existential questions of human identity and the masks that we all wear, not just spies. To do that in Berlin, you find yourself in just the ripest places to explore all of those themes. So, invariably, I think we all experience that. Does this sort of material require extra work on your part where every line may have a double meaning and different intentions depending on who you are saying it to? Olen Steinhauer: “As far as the initial inspiration for it, I have friends in Berlin and my family has gone there to visit friends. One of our visits, as we were moving from Europe to America, we stayed with them, and there were these stickers around that said, ‘Ein bett fÃ¼r Snowden’ — ‘A bed for Snowden.’ And these stickers were all around town. A couple months later, when the idea of the show first came to me, that was what I remembered. In the original scripts, there were all of these stickers, ‘Ein bett fÃ¼r Shaw.’ That fell out, but there are versions of that throughout, these posters that go up because Berlin has a long history of flirting with radical politics. And there was such a big movement going on — and it is still going on to some degree now — to protect whistleblowers that it seemed like a natural plot to start working on. And it goes further now. It’s Berlin. You find ‘refugees welcome’ stickers all over the place, and it continues on. It’s one of the reasons why I wanted to set it in Berlin, because it’s probably one of the most fascinating and culturally alive cities in Europe. I always call it the ‘New York of Europe,’ but New York that used to be, not necessarily the New York of now. Richard, you’ve played the spy game from a more action-oriented direction. I’m curious about the fun of playing a character who is not the action spy. He’s basically a nerd, it looks like. Tamlyn, you are the only character up here who is not playing an overt spy. 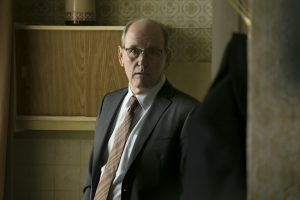 Should we read something into your presence on this panel about what your character may get up to besides being in love with Richard Jenkins’Â character? Tamlyn Tomita: “The interesting part when I read the script is how integral she is in running the station. She knows each of these characters, not intimately, but intellectually, and she has to serve them. That’s a word that’s connoted with an underling or a deferant. For Sandra Abe to have the piece of information she has about each of these characters, it can be weaponized, for lack of a better word, but it can also be utilized to benefit the goodness, the wholeness of the station. What did you guys know about spies and espionage before you took on the roles? Michelle Forbes: “I didn’t know that much about the spy genre; it wasn’t a genre that I turned to on a literary level. I wish I had earlier. But what really interested me, and I think all of us, was the psychology behind the people who choose to do this for a living. [They] live not only duplicitous lives but multi-duplicitous lives and have to navigate not only the ever-shifting loyalties that are happening within your station and within the closer world that you are living in, but also the global stage. How do you, at the end of the day, keep your own identity? That requires an extraordinarily flexible mind, a spine of steel. Or you are a sociopath? So this is tough, but it’s not unlike what we do as actors, except there’s a huge human cost. 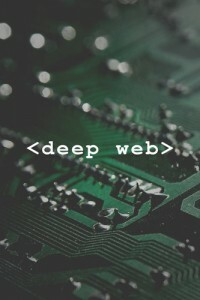 It’s a life-or-death operation rather than what we do. We play pretend. We go home to our safe lives. So that, to me, wasÂ the psychological question that I wanted to discover as a human being.